He died a very British death, Jimmy Kelenda Mubenga. His unlawful killing happened on British soil, on a British Airways plane, whilst in the care of three British men. Those men were employed by a British private security company, G4S, that was contracted by the UK Border Agency, an executive agency of the British government's Home Office. Mubenga was subjected to a deportation order after he was convicted of assault — actual bodily harm — in April 2006 and given a two-year prison sentence. 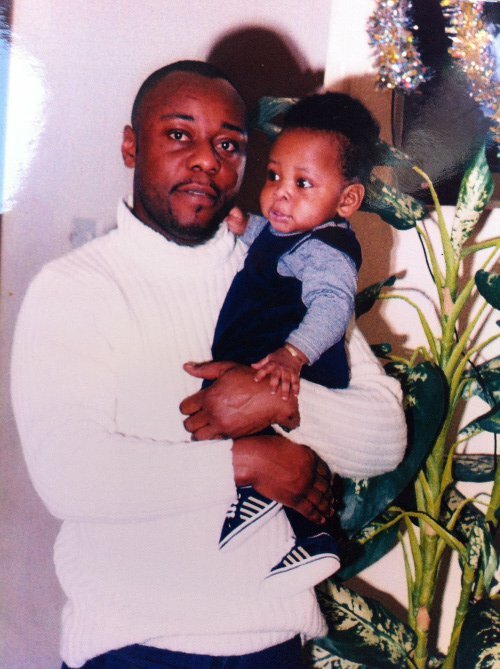 He had no other convictions, but the British system that maintains the order of British society doesn't do second chances for men like Mubenga. For some British people, he never deserved the full rights of British citizenship. For some, his nationality legally justified his deportation. He was an Angolan, after all. What do the British know about Angola? Not a lot. Since my first trip to this southern African country in 1998, I've become accustomed to the ignorance and bigotry that often follows mention of the place. "It's a dump isn't it?" That was the riposte of an eminent Cambridge don in 2006 on learning that Angola was the subject of my research. More generous responses have included, "They speak Portuguese, don't they?" and "Isn't there a war going on?" and "Hasn't it got loads of oil?" For the record: yes, Portuguese is the official language; no, there was a war, but it ended in 2002; and yes, Angola is Africa's second largest oil-producer. What British people rarely ask about, however, are our connections to Angola. They assume we don't have any. But we do, and some of the most powerful ties are those that linked Mubenga to Britain long before he died here in 2010. President José Eduardo dos Santos' eldest daughter, Isabel, was educated at one of Britain's most privileged private schools, St Paul's Girl's School, in west London. She also attended the University of London's King's College. While Isabel was enjoying a British education, British arms dealers were enjoying our long tradition of profiting from war by selling weapons to Angola. Our ex-soldiers were up for sale too: throughout the southern African country's 27-year conflict, plenty of British mercenaries were paid to go to Angola for one side or another. One of my in-laws, a Liverpool bricklayer, was invited by the Cypriot-born Briton, Costas Georgiou, aka Colonel Callan, to fight alongside CIA-backed Angolan soldiers in the mid-1970s. Fortunately, when he was approached in a British pub over a British pint, my very British uncle had the sense to say no. Colonel Callan, described by one British author as "a primitive murderous lout", was executed in Luanda in 1976. Then there’s the oil and gas. British Petroleum began what it calls its 'involvement' in Angola in the 1960s. Half a century later, the multinational BP plc is producing about 200,000 barrels of crude oil per day off the country's coast. The company, which remains headquartered in London, estimates a profit of $40 on each of those barrels, making Angola one of its most lucrative regions. BP is also a partner in Angola LNG, a project that started exporting liquefied natural gas from Angola to Europe last month. Some of that gas is likely to end up fuelling British homes. Many other British companies operate in Angola, including: KPMG, Deloitte, De La Rue, Crown Agents, British American Tobacco, Lonhro, Standard Chartered Bank, Diageo, Aggreko, Amec, Hull Blyth and the private security firm G4S. But according to the British government department, UK Trade & Investment, "Traditionally, the UK's involvement in Angola has been with the oil & gas sector." This is not entirely true. Four decades before the first oil explorations began in Angola in the 1950s, Britain's interests were fixed firmly onto another of the country's many natural resources — its diamonds. "From the 1920s through to the 1990s, Angola's diamonds kept Britain at the centre of the diamond-trading universe," says Chris Gordon, a London-based diamond analyst. And the diamonds that were so pivotal to Britain's wealth and status in the twentieth century all come from the north-east corner of Angola, known as the Lundas. So the story goes, commercial trading in Angolan diamonds began in 1912 when seven stones were found in one of the region's rivers. Five years later, Diamang — the Companhia de Diamantes de Angola — was created, and by the 1920s the exploration and mining of diamonds began in earnest. Although Diamang may feel unfamiliar to British tongues — it was jointly owned by the Portuguese state as well as Belgian, British and United States interests — it was a very British business. Because Portugal lacked experience and technical expertise, the diamond mining company De Beers stepped into the breach. Founded in 1888 by the English businessman and champion of British colonialism Cecil Rhodes, De Beers was taken over in 1927 by German-born Ernest Oppenheimer, who became a London-based diamond broker at the age of seventeen, a British citizen in 1901 and was knighted by the British government in 1921. Thanks to these men, until the 1990s every diamond that was mined in the Lundas was sold in London. For the people of the Lundas, the story is less happy. Under Diamang's control, the region became a state within a state. The company controlled every aspect of people's social and economic lives, often administering military force and punishment. Forced labour was common practice. In 1954, fearing unrest among Diamang's workers, the colonial government ordered the company to double miners' wages from about £1 a month. Diamang refused, insisting it could not afford the additional annual costs of £175,000. The same year it paid its shareholders £1,750,000. After Angola won independence in 1975, the MPLA government picked up where the colonial government left off. Travel permits were introduced to strictly control who could enter and exit the Lundas, and private trading and subsistence farming were effectively prohibited. Following Portugal's example, military force was used to control local people by now living in very difficult conditions exacerbated by war. Today, the Lundas are controlled by a handful of Angolan generals and several private security companies. The region is home to the huge Catoca mine, the world's fourth largest diamond mine, which is co-owned by Angola's state mining company Endiama with Russian, Brazilian and Chinese partners. A few foreign diamond-mining companies operate in the area as well, including De Beers, but also Lonhro plc and ITM, which also have roots in Britain. Allegations of torture and murder are common, and well documented by Angolan journalist Rafael Marques, who is dedicated to exposing the daily human rights abuses and economic injustices that characterise this corner of his country. If you are wondering how any of this relates to the life and death of Jimmy Mubenga, consider this. The 46 year-old Angolan father of five was from the Lundas. So his widow Adrienne Makenda Kambana told me, he was born in the heart of this diamond-mining region, in the town of Cafunfo, where De Beers has its local headquarters. Mubenga's home town had been exploited by British interests for decades. Since his death, I have often reflected on the awful irony that a man from the Lundas, where private security companies mete out appalling cruelties day after day, died in London while in the care of one of our own private security companies. If there is to be any justice for Jimmy and the many other asylum seekers, refugees and economic migrants who come to Britain, we must dig deep into our history, to expose what Paul Gilroy called "Europe's repressed, denied, and disavowed blackness... in the hope that a climate will eventually develop in which we will be able to find a hearing."